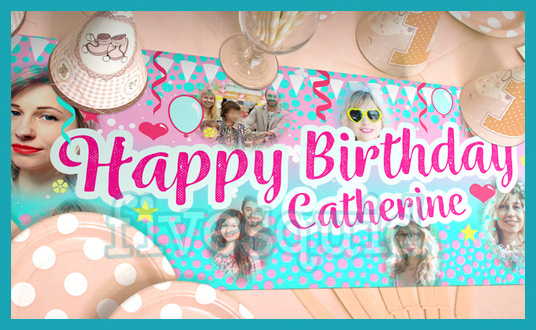 I've been making birthday banners for many years now and with this service I'm presenting an opportunity to make a birthday celebration a day to remember with a personalised banner! Order one for yourself or surprise a friend (make it even more embarrassing with a selection of photographs from their past!) There are 3 size options - square, wide or custom. After receiving the items requested after ordering I will work on a design. When my work is complete I'll send you a preview from which you can either accept or request up to 3 changes. 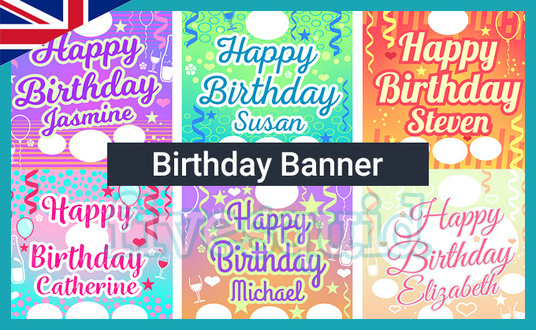 Don't forget there's an optional wide banner extra available. 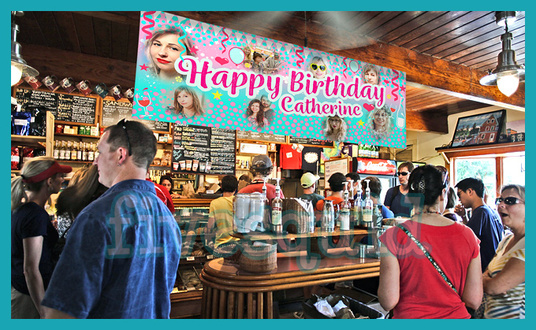 Once finalised I'll send you a banner image file at 300dpi at 64x64cm or the wide banner at 130x50cm or your requested custom size. Note that printing is not available, only an image file is provided.